Home » Products » All Resources – Get Annual Membership Now! All Resources - Get Annual Membership Now! Our comprehensive range of legal resources are designed to engage and inform young people about the law. We bring real and complex issues to life through discussion-led exercises that promote critical thinking and enquiry skills. This promotes deeper thinking and advocacy skills in the learner. Enrol your school below and start saving yourself and your colleagues’ time and money today! The Citizenship Foundation is a company registered in England No 2351363 and a charity registered with no 801360 whose registered office is at 37 Heneage Street, London E1 5LJ (the Foundation). The Citizenship Foundation sometimes refers to itself as ‘Young Citizens’. A. The Member has registered with the Foundation to access the Service on the basis of the terms and conditions set out below (Agreement). The terms and conditions are a binding document which govern access to and the use of the Service by Members. Members are therefore advised to read the Agreement carefully. B. The Foundation is a charitable organisation supported by the Law Society set up to run schemes which promote participation and help young people understand the law, politics and democratic life for the purpose of inspiring and motivating them to develop into effective citizens. 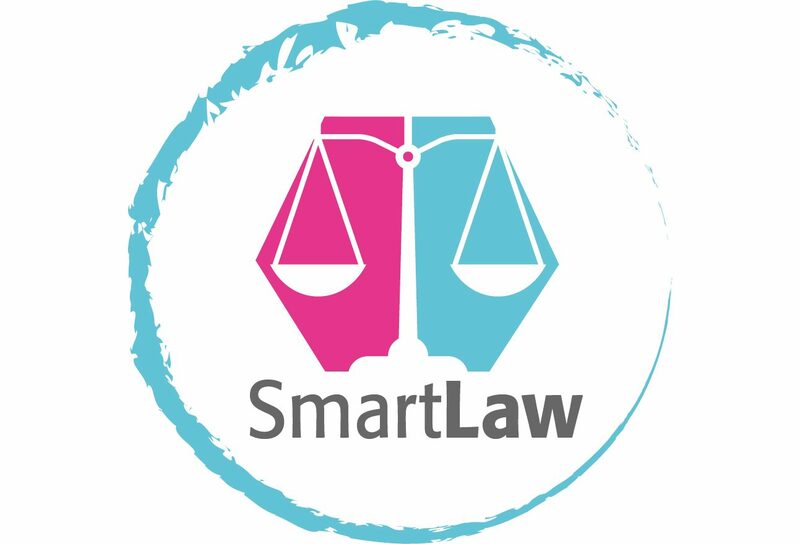 C. By accessing the website, currently located at www.smartlaw.org.uk (Site), and/or registering to use the Service (as defined below) accessible through the Site, you agree to, and are bound by, the terms and conditions of this Agreement for as long as you continue to use the Site or Service. IF YOU DO NOT AGREE TO BE BOUND BY THIS AGREEMENT, DO NOT USE THE SITE OR THE SERVICE. Where the term you is used in this Agreement, this means the user of the Site and/or Service. 2.1.To become a validly registered Member, you must complete all of the fields on the registration form(s). 3.1.As a Member you agree to use the Service in a manner consistent with any and all applicable laws, regulations and relevant policies. 3.2.As a Member you agree at all times to act in good faith towards other Members and towards the Foundation. 3.3.You understand that use of the Service by an Educational Member or Private Member does not render that Member an employee, agent or representative of the Foundation. 3.4.You will keep all information provided to you through the Service private and confidential and will not give disclose information to anyone without the permission of the person who provided it to you. 3.5.You will not use the Service to engage in any form of harassment or offensive behaviour. 3.6.You will not use the Service to infringe the privacy rights, property rights, or any other rights of any person. 3.7.The information you supply to the Foundation and to other Members must be accurate. Inaccurate, false or misleading information provided by a Member is the sole responsibility of the Member concerned. 3.8.You agree to indemnify the Foundation for any loss suffered as a result of a breach of this Article 3 by you as a Member and/or against all third party claims and liabilities related to such a breach and/or your use of the Service. 4.1.As a Member you understand that you are solely responsible for your interactions with other Members. 4.2.As an Educational Member you are required to make the appropriate enquiries into the background of a Private Member with whom you interact and are solely responsible for undertaking background checks as required by law and/or any relevant policies. 4.3.As a Member you at all times remain solely responsible and liable for the use of your Member’s account and for the actions or statements made through your Member’s account, whether these are fraudulent or as a result of third party intervention. 5.1.The Foundation has no contractual, moral or ethical obligation to verify the identity of persons which register as Members to use the Service, nor does the Foundation verify or monitor the information provided by Members when registering as Members to use the Service. 5.2.The Foundation accepts no liability for any loss suffered by a Member as a result of a breach of rights by another Member or any third parties. 5.3.The Foundation makes no representations or guarantees regarding the quantity or quality of interactions that a Member will receive. 5.4.The Foundation does not warrant that the operation of the Site and the Service will be free from minor interruptions and errors. 6.1.The Foundation does not conduct criminal record or other background checks on its Members and does not make any representations or warranties as to the conduct of its Members or the compatibility between an Educational Member and a Private Member. 6.2.The Foundation does not verify legal / professional qualifications of Private Members nor does it warrant that Private Members have and uphold any legal / professional qualifications. 6.3.As an Educational Member you are required to make the appropriate inquiries into the background, identity and qualifications of a Private Member with whom you interact and are solely responsible for undertaking background checks as required by law and/or any relevant policies. 7.1.The Foundation is the owner or the licensee of all intellectual property rights in this Site, and in the material published on it. Those works are protected by intellectual property rights. All such rights are reserved. 8.1.The Foundation reserves the right to suspend or withdraw the Service at any and all times for any reason it sees fit. 9.1.This Agreement constitutes the entire agreement between the parties and governs the relationship between the Member and the Foundation. 10.1.This Agreement shall be governed by English law and any disputes will be decided only by the English courts. 11.1.The Foundation may modify the terms and conditions set out in this Agreement at any time. 11.2.By using the Service the Member agrees to be bound by these terms and conditions as amended from time to time. By entering the Bar Mock Trial Competition or the Independent School Mock Trial Competition (hereafter the ‘Competition’ in both cases) you agree to comply with and be bound by the following terms and conditions of use, which govern the Citizenship Foundation’s relationship with you in relation to the Competition (the ‘Conditions’). In the event of a conflict between any promotional or other materials provided by us and these Conditions, these Conditions shall take precedence. The term ‘Citizenship Foundation’ or ‘us’ or ‘we’ refers to the organiser of the Competition whose registered office is 37 Heneage Street, London E1 5LJ and whose charity registration number is 801360 and company registration number is 2351363, registered office as above. The term ‘Fee’ refers to the sum of £175.00 for the Bar Mock Trial Competition, £245 for the Bar Mock Trial PLUS Membership, £675.00 for the Independent Schools Mock Trial Competition, and £745 for the Independent Schools Mock Trial PLUS Membership. . The term ‘you’, ‘school’, ‘participant’ or ‘teacher’ refers to the users of the Competition. The term ‘Rules’ refers to the rules of the Competition contained in the Schools Guide available on the website. The term ‘Schools Guide’ refers to the guide provided for schools on the website which includes the Rules. 1.1 To be considered for a place in the Competition, schools must pay the Citizenship Foundation the Fee. This is the full entry fee for the Competition. There is no deposit. 1.2 Payment is to be made online via credit/debit card once an application form has been completed or by bank transfer or cheque if the ‘Request an invoice’ option is selected. We will not accept any other method of payment, and cannot take payment over the telephone. 1.3 The Citizenship Foundation will publish a closing date for the Competition (the ‘Closing Date’). Only entries for which an application form and payment have been received before 4.00pm on the Closing Date will be processed. It is the school’s responsibility to ensure that payment has reached us by the Closing Date. 1.4 Schools that have: (a) paid the Fee but are not allocated a place; or (b) that are allocated a reserve place but do not then get to participate; or (c) withdraw before the published withdrawal deadline date (the ‘Withdrawal Deadline’) will receive the entire Fee back minus a £5 administration charge. Schools will be required to complete a refund form by an agreed date (the ’Refund Deadline’) before the Fee will be reimbursed. Fees that are not claimed by the Refund Deadline will be retained as donations to the Citizenship Foundation. 1.5 You agree that you are authorised to use the payment method that you enter when you create a billing account. You authorise us to charge you using your payment method. We may bill: (a) the time of purchase; or (b) shortly after purchase. 2.1 In this clause 2 “applied before the deadline” means that we have received a fully completed entry form and the Fee before the Closing Date. e. schools that have failed to attend heats with no notice. 2.2 Applications will not be processed until both the entry form and Fee have been received. 2.3 Schools are asked to select a first and second choice of court. We will do our best to allocate you to one of your preferred options. However, a place in either of your courts of choice cannot be guaranteed. 2.4 The location of regional heats is subject to change. We reserve the right to change the advertised venue at any time, including on the day of the heat. We accept no responsibility whatsoever for any expenses incurred as a result of any changes to the venue or the timetable of the day. 2.5 Nothing in these Conditions, the Rules, and the Schools Guide or in the conduct of the Competition shall be taken to guarantee any school a place in the Competition in any subsequent year. 2.6 The Citizenship Foundation reserves the right not to accept applications, or to give a lower priority to applications in some circumstances including, but not limited to, if it is found that a school has not fully completed or has given inaccurate information on their application form or acted in a way which (in the Citizenship Foundation’s determination) is by its nature unjust to other entrants. 3.1 Subject to availability, schools may be allocated a barrister/ advocate volunteer to visit their team where requested and available. We do not guarantee that a barrister/ advocate volunteer will be allocated to any school. 3.2 Under current legislation, volunteers do not require a DBS check to visit a school. However, this may be required by some Local Authorities or schools. It is the responsibility of the school to determine the applicability of such requirements and ensure that these are met. 3.3 Volunteers must not be left alone with students under any circumstances. Participating schools are responsible for the supervision of volunteers. Volunteers may refuse to continue a session if they are left unsupervised. 4.1 Prior to the regional heats and national final, schools will be expected to provide a team list and signed photography permission form. The Citizenship Foundation will set a deadline by which date these forms must be returned. 4.2 The Citizenship Foundation and/or court staff reserves the right to refuse entry to the building to any school that has not returned their team list and photography permission forms by the deadline set by us. 4.3 The number of guests that a school can bring to the regional heats and national final will be limited according to the capacity of the court building. We will inform schools as to the number of guests they may bring. We are unable to be flexible on these numbers under any circumstances. 4.4 Teachers are responsible for the conduct of their own students and guests in the court building. It is your obligation to ensure that any areas of the building that you have used are left clean and tidy and that all belongings and/or rubbish are removed or placed in the bins provided. Schools which fail to do this may be refused entry to the Competition in future years. 5.1 The website and its service may be temporarily unavailable from time to time for maintenance or other reasons. We assume no responsibility for any omission, interruption, error, delay, deletion, or defect in operation of the website or its service. Any problems experienced must be reported to the Citizenship Foundation as soon as reasonably possible. 5.2 We are not responsible for any technical malfunction or other problems of any service, computer systems, servers or providers, computer equipment, software, failure of any electronic communication resulting from or in connection with any technical problems or traffic congestion on the internet, including injury or damage to you or to any other person’s computer or other hardware or software, related to or resulting from using or downloading materials in connection with the website. 5.3 These Conditions govern your use of the service provided on the website. By using or accessing the service, you accept these Conditions in full. IF YOU DISAGREE WITH THESE CONDITIONS OR ANY PART OF THEM, YOU MUST NOT USE THE SERVICE. 6.1 The Rules and these Conditions must be adhered to at all times. We reserve the right to disqualify any schools, if we have reasonable grounds to believe the entrants have breached any of the Rules or these Conditions, in each case, without a refund of the Fee. 6.2 In the event that any entrant is disqualified from the Competition, the Citizenship Foundation in its sole discretion may decide whether a replacement should be selected. Such a replacement will be selected at the discretion of the Citizenship Foundation. The replacement school will be subject to the Rules and these Conditions. 6.3 In the event of differences or discrepancy between these Conditions and/or the Rules and/or the Schools Guide, these Conditions will prevail. 6.4 The judges’ decision at the regional heats and national final is final. It is not possible to change the scores after the event. 6.5 In the event of any dispute regarding the Rules, conduct, results and all other matters relating to the Competition, the decision of the Citizenship Foundation shall be final and no further correspondence or discussion shall be entered into. 7.1 All submissions must be the students’ own work. 7.2 All submissions must be received by 4.00pm on the date set by the Citizenship Foundation. Any entries received after this deadline will not entered. 7.3 Entrants should note that unless stated otherwise, the Citizenship Foundation does not accept responsibility for the return of any entries. 7.4 You agree that any copyright and other intellectual property rights vesting in your entry will be owned by the Citizenship Foundation. You hereby warrant and represent that the entry does not infringe or otherwise violate the intellectual property or other rights of a third party. 8.1 Prizes are non-transferable and there is no cash alternative. The Citizenship Foundation reserves the right to substitute prizes of equal or greater value at any time. 9.1 Winners may be requested to take part in promotional activity and the Citizenship Foundation reserves the right to use individuals’ names and school names with photographs and audio and/or visual recordings of them in any publication and/or promotional materials. 9.2 Any personal data relating to entrants will be used solely in accordance with current UK data protection legislation and will not be disclosed to a third party without the individual’s prior consent. Data relating to entrants will be retained by the Citizenship Foundation for a reasonable period after the Competition closes to assist the Citizenship Foundation in operating competitions in a consistent manner and to deal with any queries relating to the Competition. 10.1 Students participating in the Competition must be enrolled in secondary education and legally resident within the UK, Channel Islands or Isle of Man. We reserve the right to require proof of eligibility. 11.1 To the extent permitted by law, the Citizenship Foundation excludes all warranties and representations (express or implied) from these Conditions. You acknowledge that in entering into the Competition that you do not rely on, and shall have no remedies in respect of, any representation or warranty (whether made innocently or negligently) that is not set out in these Conditions. 11.2 To the extent permitted by law, The Citizenship Foundation excludes any liability (including, without limitation, for negligence) regarding the Competition which includes, without limitation, liability for technical failure, travel disruptions and/or difficulties of any kind that may limit or hinder a participant from participating in the Competition. 11.3 The Citizenship Foundation will not be responsible for any lost, damaged, defaced, incomplete, illegible or otherwise unreadable application forms or entries. 11.4 By participating in the Competition, you agree to release and hold the Citizenship Foundation, its subsidiaries and affiliated companies, together with their respective employees, officers, directors, agents and representatives, harmless from any and all losses, damages, rights, claims and actions of any kind in connection with participating in the Competition. Nothing in these Conditions shall in any way limit the Citizenship Foundation’s liability for death or personal injury caused by its negligence or for any other matter where liability may not as a matter of law be limited. 11.5 The Citizenship Foundation may, at any time amend the Rules and/or the Schools Guide and/or these Conditions by posting such changes on the website. 11.6 These Conditions are governed by the laws of England and Wales and subject to the exclusive jurisdiction of the courts of England and Wales. By entering the Magistrates’ Court Mock Trial Competition (the ‘Competition’) you agree to comply with and be bound by the following terms and conditions of use, which govern the Citizenship Foundation’s relationship with you in relation to the Competition (the ‘Conditions’). In the event of a conflict between any promotional or other materials provided by us and these Conditions, these Conditions shall take precedence. The term ‘Fee’ refers to the sum of £155 if one team is entered, or £205 if two teams are entered. 1.4 Schools that have: (a) paid the Fee but are not allocated a place; or (b) that are allocated a reserve place but do not then get to participate; or (c) withdraw before the published withdrawal deadline date (the ‘Withdrawal Deadline’) will receive the entire Fee back minus a £5 administration charge. Schools that have paid the Fee for two teams but only been allocated a place in a local heat for one team will receive £50 back. Schools will be required to complete a refund form by an agreed date (the ’Refund Deadline’) before the Fee will be reimbursed. Fees that are not claimed by the Refund Deadline will be retained as donations to the Citizenship Foundation. 2.3 Schools are asked to select a first, second and third choice of local heat. We will do our best to allocate you to one of your preferred options. However, a place in any of your local heats of choice cannot be guaranteed. It is obligatory to make a first and second choice, but the third choice is optional. Applications that make only a first and second choice only will not be disadvantaged, or advantaged, in allocation process. 2.4 The location of local heats is subject to change. We reserve the right to change the advertised venue at any time, including on the day of the heat. We accept no responsibility whatsoever for any expenses incurred as a result of any changes to the venue or the timetable of the day. 3.1 Subject to availability, schools may be allocated a magistrate and/or other legal volunteer to visit their team where requested and available. We do not guarantee that a magistrate and/or other legal volunteer will be allocated to any school. 4.1 Prior to the local heats, regional heats and national final, schools will be expected to provide a team list and signed photography permission form. The Citizenship Foundation will set a deadline by which date these forms must be returned. 4.3 The number of guests that a school can bring to the local heats, regional heats and national final will be limited according to the capacity of the court building. We will inform schools as to the number of guests they may bring. We are unable to be flexible on these numbers under any circumstances. 6.4 The judges’ decision at the local heats, regional heats and national final is final. It is not possible to change the scores after the event.